Located at the southern end of Hainan Island, the Rosewood Sanya and International Finance Forum creates the image of a lighthouse on a rock, where the hotel tower forms the lighthouse and the convention centre creates the rock shape. 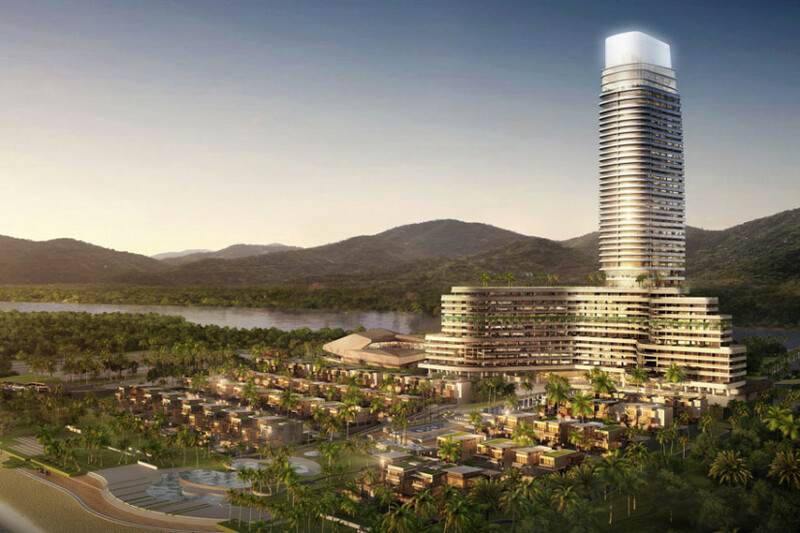 The 233-metre-tall tower holds 229 hotel rooms and suites for Rosewood Hotels and Resorts and 500 serviced apartments along with ballrooms, meeting rooms, a visitors centre and a spa. The convention centre contains 28,000 square metres (92,000 square feet) of convention and exhibition space.